What type of certificate would you like to receive? 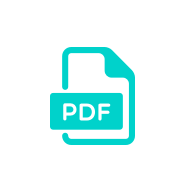 * This field is required Choose between a digital copy (PDF), paper copy, or the convenient wallet sized PlexiRec ID card, or duplicate copies of the paper certificate. What's your email address? 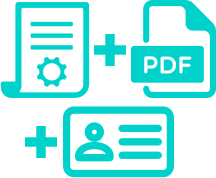 * This field is required As you know, this is how we get the digital copy to you. Please describe these health changes. Have there been any significant life changes or notable events in the past year that stand out in your mind? * This field is required These events can be good or bad. Please share what these significant life changes are. mental health issues such as depression, anxiety, PTSD, bipolar disorder, ADHD, etc. YES. Cannabis has been effective. NO. Cannabis has been ineffective. Please list what those medications or therapeutics consist of. Which condition(s) below does your mental health suffer from? You may pick more than one diagnosis, or select N/A if you have none of the diagnosis listed here. You have the option of selecting Other and filling in the exact condition. Has the use of medical cannabis been effective? Have you been using any other medications or therapeutics in addition to cannabis? Thanks for making our day! How can we make your experience even better? Thanks. What's the most important improvement that would benefit us? How can we make your experience even better? We really appreciate your honesty, please tell us more about your experience. We read every comment we receive. Based on the progress that we've made and what you've seen so far, would you like to refer a friend, colleague or family member? You'll get $5 off any of the add-ons we offer if he/she signs up. IF YOU DID NOT SELECT TO INCORPORATE YOUR ID, OR IF YOU ARE HAVING ISSUES WITH UPLOADING, YOU MAY SKIP THIS PART. What address would you like to receive your certificate? * This field is required This does not have to be the same address as your billing address. YOU MUST BE OVER 18 YEARS OLD TO BE MEDICALLY EVALUATED. YOU MUST PHYSICALLY BE WITHIN THE STATE OF CALIFORNIA AT THE TIME OF STARTING & COMPLETING THIS APPLICATION. ONCE THE DOCTOR HAS STARTED THE REVIEW OF YOUR APPLICATION, YOU WILL NOT BE REFUNDED, EVEN IF THE DOCTOR'S DECISION IS UNFAVORABLE. If YOU'VE ELECTED TO RECEIVE A PHYSICAL COPY, YOUR CERTIFICATE WILL BE MAILED TO THE ADDRESS YOU HAVE PROVIDED WITHIN 48 HOURS. IF YOU DO NOT RECEIVE YOUR CERTIFICATE AFTER ONE WEEK, YOU MAY REQUEST A DUPLICATE BE SENT. THE SERVICE FEE MAY BE WAIVED AT THE DISCRETION OF THE PHYSICIAN, AND WE ARE NOT OBLIGATED TO RESEND WITH POSTAL CERTIFICATION OR TRACKING. By signing below, you acknowledge that you have read the above requirements and that you understand and agree to be in compliance with these rules. Please sign below. Your signature must match the signature we have on file from your state-issued ID. THANK YOU FOR GRANTING WEEDRECS THE PRIVILEGE TO PROVIDE YOUR CARE FOR ANOTHER YEAR.